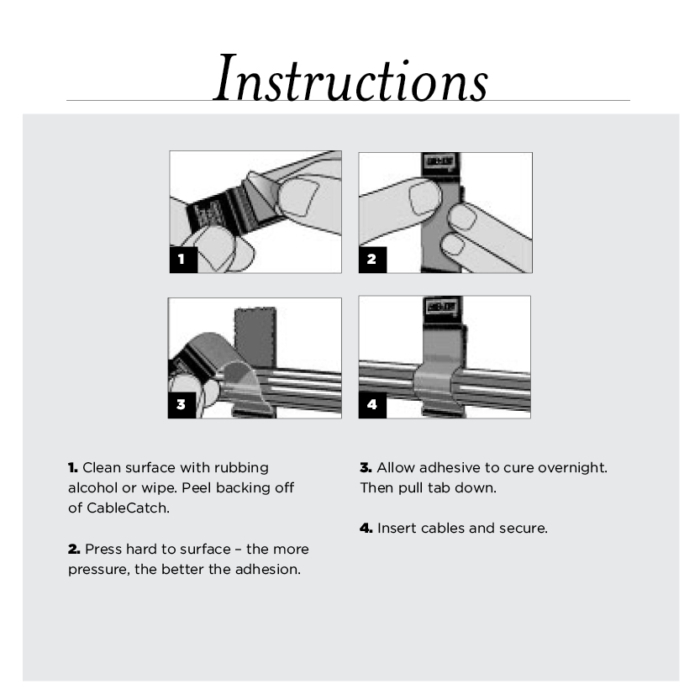 Acrylic pressure sensitive adhesive securely attaches CableCatch to equipment racks, desks or walls. 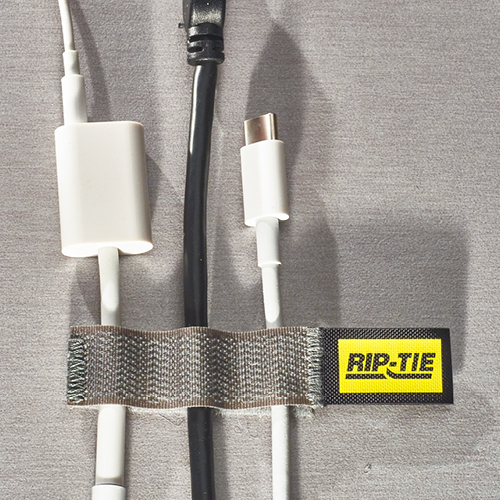 One quick pull of the tab releases the cable for quick equipment set-ups. 2 packs are available on this site. To purchase 5 packs and packs of 50, please contact our authorized distributors. 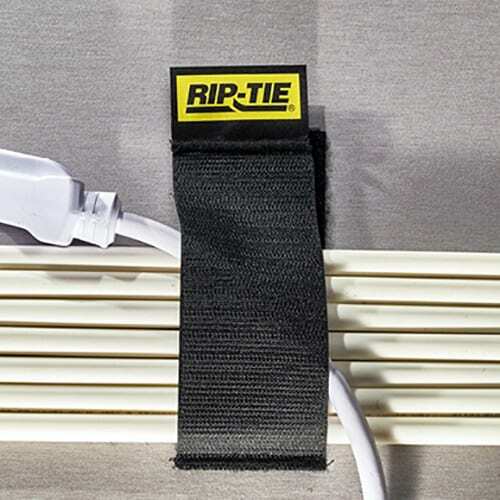 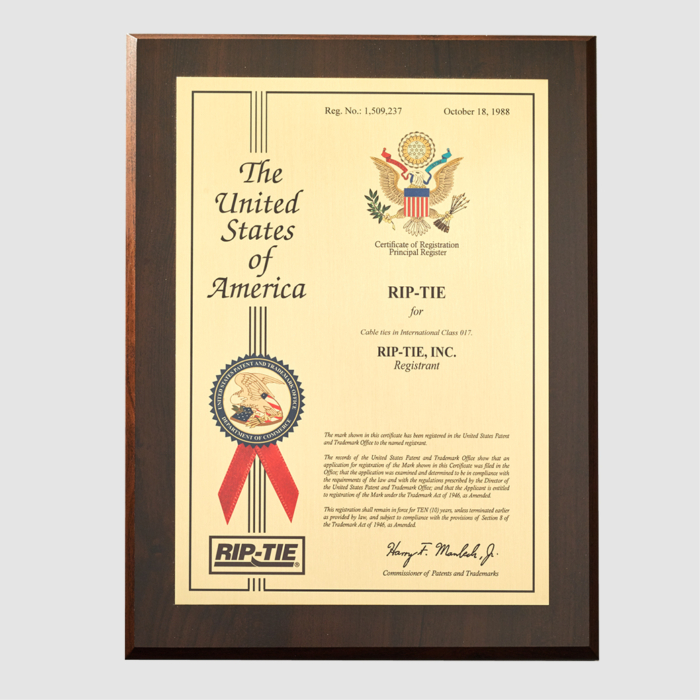 The Two Inch Wide Heavy Duty CableWrap attaches to the cable with 50 lb. 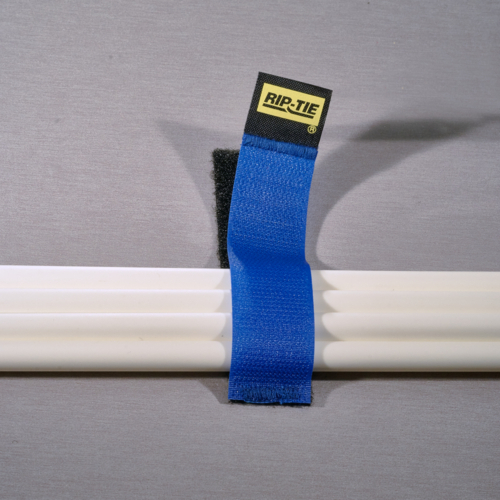 nylon ties secured through two grommeted holes. 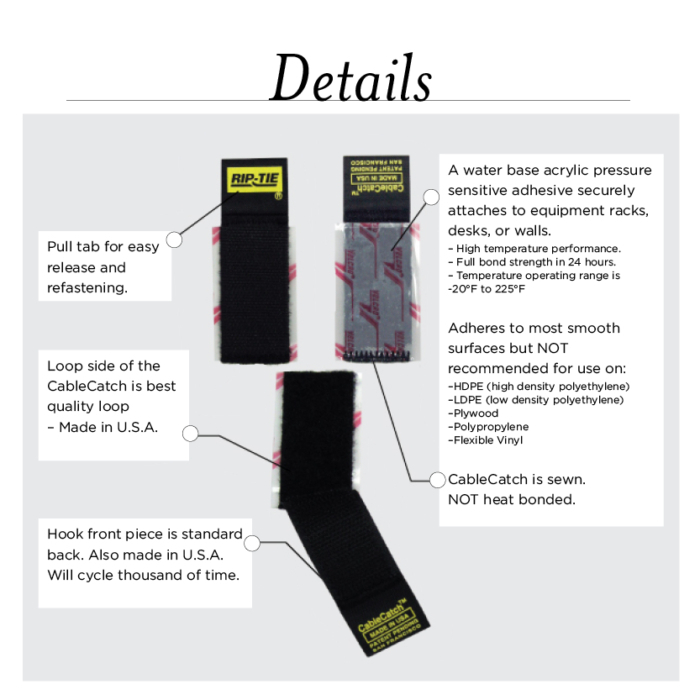 Quantities of 5 and 50 packs are available though our authorized distributors.